Mote Park is set in 450 acres of historic parkland and is one of the largest public parks in the south-east. It was designed for Lord Romney in the late 18th, early 19th century, and the original designed landscape remains virtually intact, with a large lake, cascades, pavilion and boat-house. In 2009, the Heritage Lottery Fund awarded £1.8m for the park&apos;s restoration and improvement. Mount Ephraim Gardens is set in ten glorious acres of stunning Edwardian terraced gardens against a backdrop of the beautiful Kent countryside. The gardens were laid out in the early 1900s, and were restored in the 1950s after suffering years of neglect. The elaborate and unusual topiary, with a miscellany` of birds, animals and First World War memorabilia in clipped yew, truly captures the imagination. The Millennium Rose Garden abundant with scented roses and a traditional herbaceous border complete this stunning area. The gardens also feature a Japanese rock garden, water garden and lake, arboretum and a spectacular grass maze with a play area for children. It is a place of tranquillity and charm so often lost in larger more impersonal gardens. 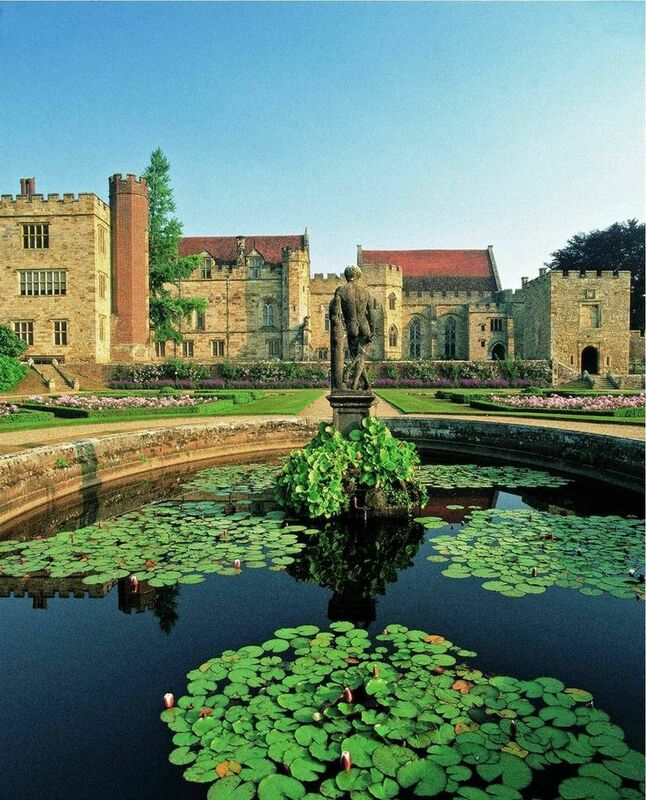 Penshurst Place gardens are amongst the oldest in England with records dating from 1346. There are 48 acres of grounds with 11 acres of formal walled gardens. Originally laid out in 1580, it has kept remarkably true to its original design. One mile of yew hedging divides the garden into a series of rooms, each with its own seasonal colour. Some have a contemporary design such as a union-flag design planted with red and white roses and lavender. Other gardens include an Italianate garden with a formal parterre, a rose garden and a nuttery. The historic gardens continue to evolve, illustrated by the recent Jubilee Walk project, a 72 metre double herbaceous border planted to a design by RHS gold medal winner, George Carter. The project has been described as a renaissance of the double herbaceous border with a 21st century look. The design includes a traditional feature at Penshurst, the planting of apple trees, which were supplied by the national fruit collection at Brogdale.